February 23, 2010 – (Allendale, NJ) – Leica Camera announced today that it will bring the latest and newest Leica products to major North American cities as part of the first-ever Leica North American Road Show. 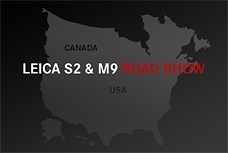 Leica’s product specialists will visit 26 cities over the course of 14 weeks; the road show will commence on March 18, 2010 in Miami, Florida and conclude on June 23, 2010 in Nashville, Tennessee. The series is designed to enhance participants’ knowledge of and familiarity with the M and S Systems. 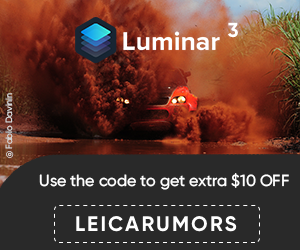 The series will be equally valuable for amateur photographers who enjoy the best and finest as well as professional photographers who demand excellence in image quality and incomparable ease-of-use. Each participant will have access to experienced Leica photographers who can deepen their photographic abilities and enhance their shooting experience. Topics covered during the Leica M and S-Events will include camera and lens orientation; troubleshooting and maintenance; understanding the digital imaging process; configuring your computer; organizing and storing your images; Adobe Lightroom introduction; color management introduction and methods to produce better work in less time. Participants to the M Event will have the unprecedented opportunity to become intimately familiar with the acclaimed Leica M9, the world’s smallest full-frame digital rangefinder camera and the M-System, including Leica’s newest lenses, the 18mm/f3.8, 50mm/f0.95 and the 24mm/f3.8. The S Event will showcase the exceptional offerings of the S-System, the defining instrument for fashion, beauty, advertising, landscapes, portraits and still photography, in addition to offering its participants the opportunity to take photographs.